Everything that you will need to know! How to gather relevant information. In Lakeview we have many resources available to us to use for research. We are able to use the Lakeview resources and the Mid-Continent as resources for when we need them. While the Lakeview one may be more easy to navigate through, Mid-Continent has probably more information that may be correct. 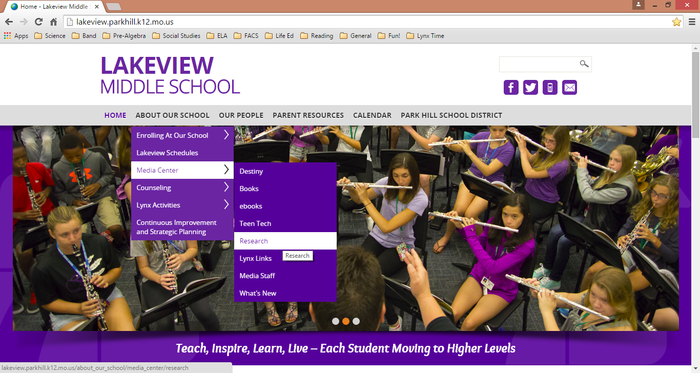 When you get to the Lakeview Homepage, hover over "About Our School," then "Media Center," then click on research. The Mid-Continent resources are right there as well! How to use Key Words! When using Ebsco-Host, you need to know to only search for key words, not full sentences by pulling out important information. 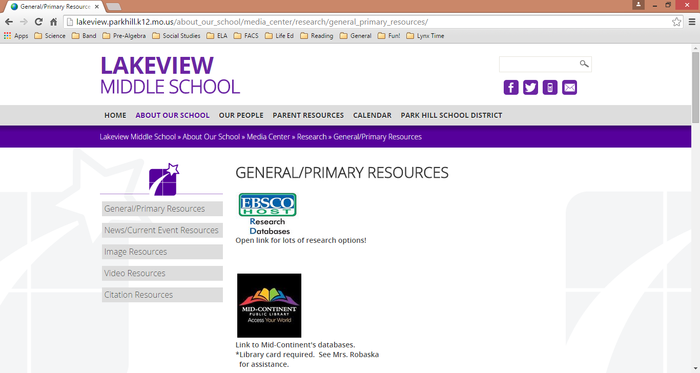 When you are on the Lakeview Resources page, click on the first link, to Ebsco-Host. 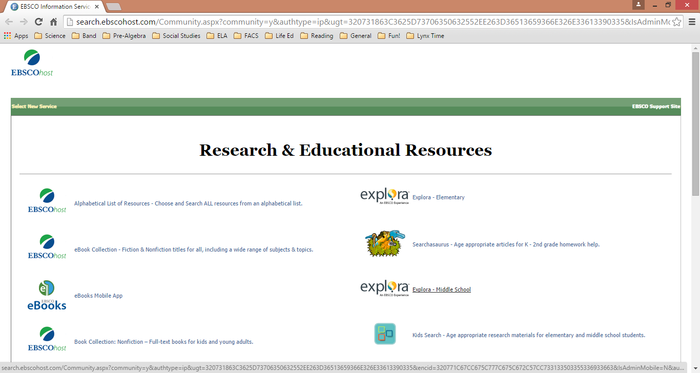 Click on "Explora Middle School"
How can you tell if a website is credible? First you should look at the url address at the top. There is four common ones that you might see. ".org" ~ This website was made by an organization. ".gov" ~ This is a government issued website. ".edu" ~ This is an educational website. If a website has the URL ".com" then remember, anybody can make a website so it might not be reliable. If the website includes anything about the author, their contact information, or the date it was published, then the website is reliable. Taking the authors words directly and using them in your text with quotes around it. When you take an author's words and you write their idea in your own words. 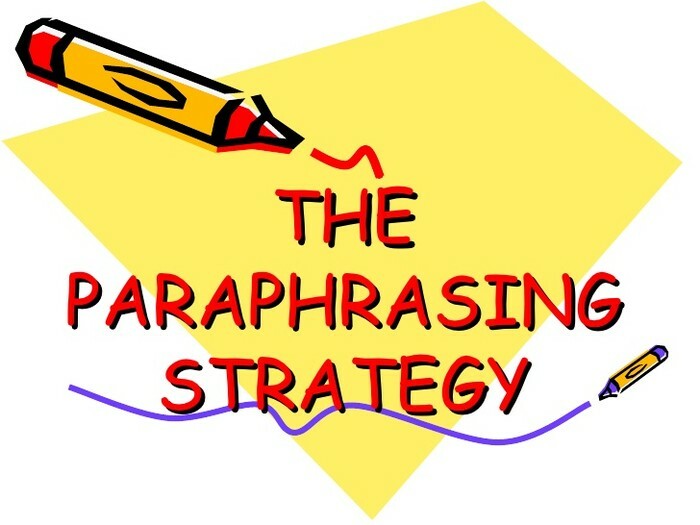 Taking the important details out of a passage or idea and writing them down in your own words. Plagiarism is when you take an authors words or ideas and you don't give them any credit for it. You can avoid plagiarism in many ways. 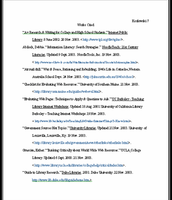 First, make sure to give the author credit through an "In-Text Citation" or you works cited page. 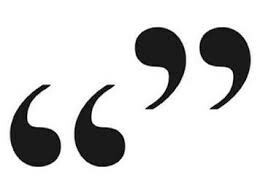 Also, make sure to use quotes when necessary and paraphrase well. MLA is the way of citing a source that we use in 7th grade. When you give credit to the author directly in the text. Put it in parentheses. This is your bibliography page. This is at the end of your paper where you include all the citations. 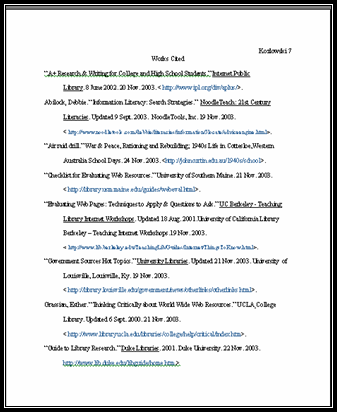 EasyBib is a great place to use to cite your sources. 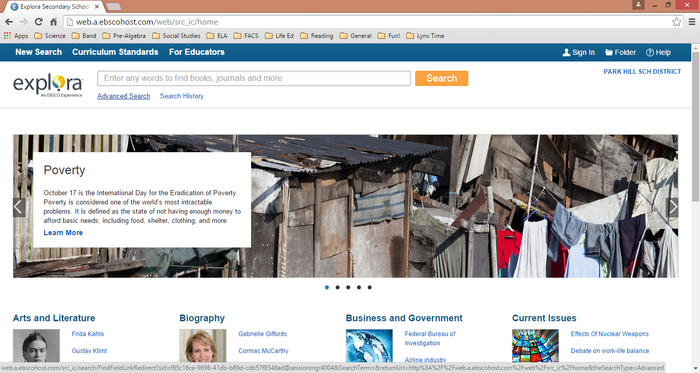 Just put in the web address, select the article, and cite it!